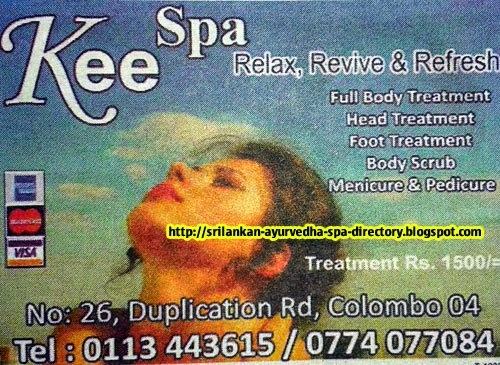 Sri Lanka Massage Places and Ayurveda Spa's Information Directory: Kee Spa (Relax/Revive/Refresh) Center - Colombo 04. Kee Spa (Relax/Revive/Refresh) Center - Colombo 04. Kee Spa (Relax/Revive/Refresh) Center, No. 26, Duplication Road, Colombo 04.